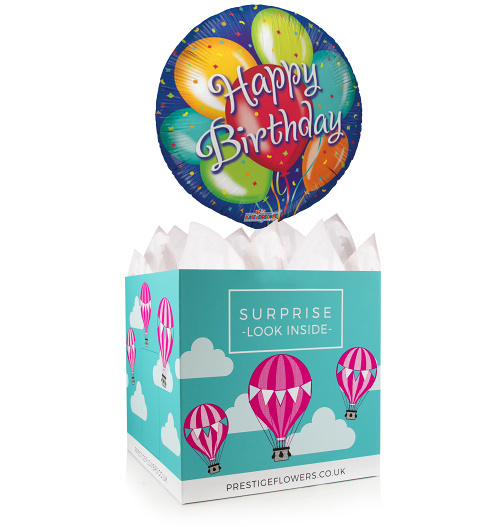 Celebrate a friend or loved one's birthday with this colourful 18-inch helium balloon paired with a birthday gift box. Take your pick from our range of optional extras such as chocolates, cake, a cuddly bear, or wine. You can also include your very own personal message.